The wait is over! Technology has once again proven to be amazing and Sugar Fix Dental Loft is taking full advantage. We no longer have to take goopy impressions for Invisalign treatments or night guards. 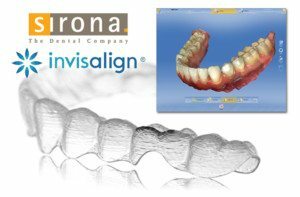 The new Cerec Ortho 1.1 technology makes it possible by letting us send our patients digital Invisalgn impressions through Sirona’s Cerec software and straight to Invisalign. This new technology and it’s techniques are much different than restorative scanning we have done in the past. The whole Sugar Fix team worked hard to get their scans perfect, and we are all ready to go! For a Cerec Ortho scan, it takes about ten minutes to do the full mouth, which is the same amount of time it would take to do traditional impressions. We would use a Optragate lip retractor to hold the soft tissue back, then we would scan all four quadrants while our patients watch Netflix and hang out! Everyone loves to see the scan being done because the technology is amazing! 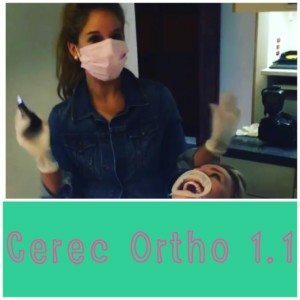 Sirona Ortho 1.1 scan is here! One of the best parts of the scan besides the “no mess” of the digital scan, is how much faster Invisalign receives the case. Once the scan is done, the scan is downloaded and sent to Invisalign via e-mail. This way, we do not have to wait the several extra days in shipping. From there, we receive a digital movie of the teeth movements per tray within 24 hours! The turn around time is absolutely amazing for us and our patients. Once Dr. Emery approves the Invisalign case, they ship it out to us and we are ready to schedule our patients first appointment. This system is also used for our lab Great Lakes Orthodontics who fabricate our night guards. This is a huge advantage for our patients. Usually the night guards take up to three weeks to get back in the office, but with the scan it takes one to two weeks! Yet again, another advantage of this amazing software and technology!